I said I was going to photograph the lovely old Polaroid folding camera. Despite my best intentions and the best intentions of my father, neither of us could find it. 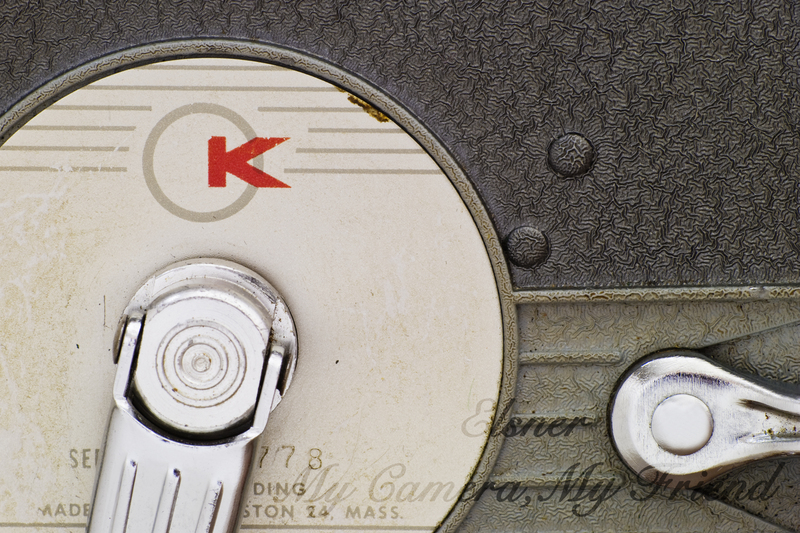 However, I did find the ancient Kodak Medalist II. Although it’s not as old as some of the other cameras in my father’s collection, it is by far the most worn and well-traveled of them all. My father acquired it while cleaning out a photofinishing plant in Wisconsin after the place went out of business. The Medalist’s owner had died by then. 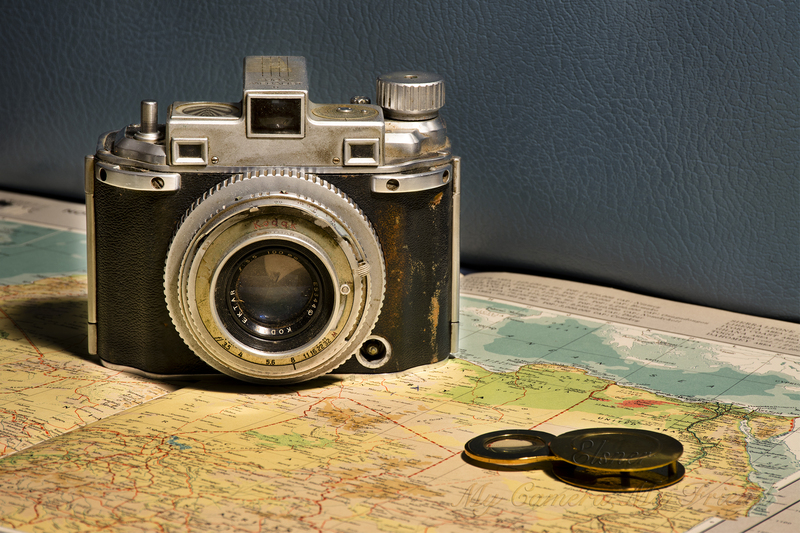 Reportedly, he was world traveler, and this camera was his companion on many adventures. 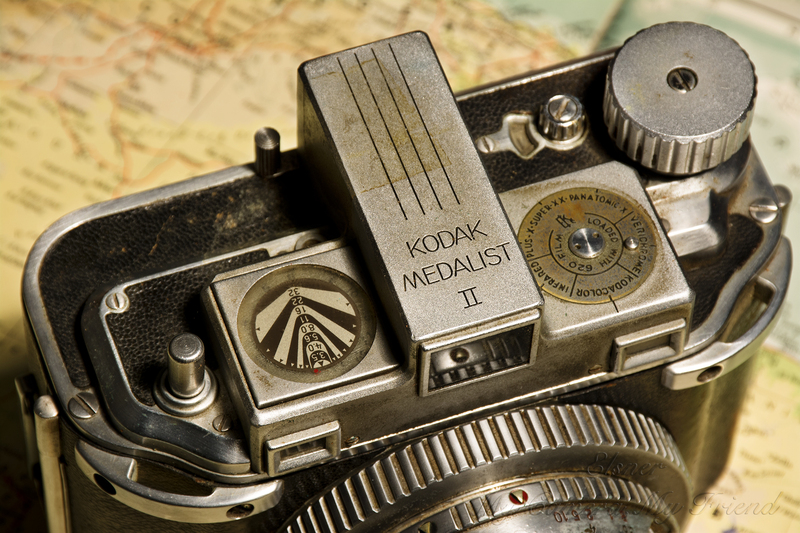 The Medalist II was manufactured in the late 1940s. 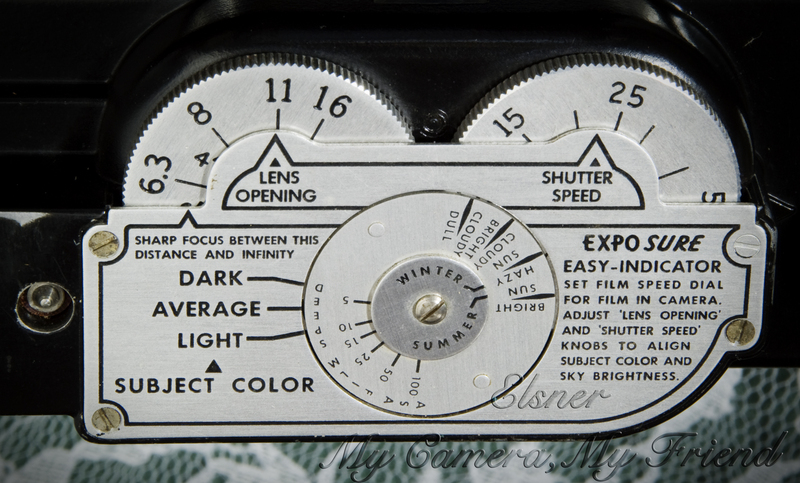 It was a fine camera in its time with rangefinder and other focusing helps. Like many items from that era, it was built like a tank. This top view shows just how wide it is. The focusing mechanism is also quite rigid and sturdy. In the camera’s present state of disrepair, it is difficult to turn. You’ve probably noticed I’ve made no attempts to clean or retouch this relic. My father decided years ago that it should stay as he found it: someone’s old companion in adventure bearing the marks and dirt of its life and adventures. Although the former owner had it repaired on several occasions, it would take a lot to get this one back in shooting order even if we were to try. 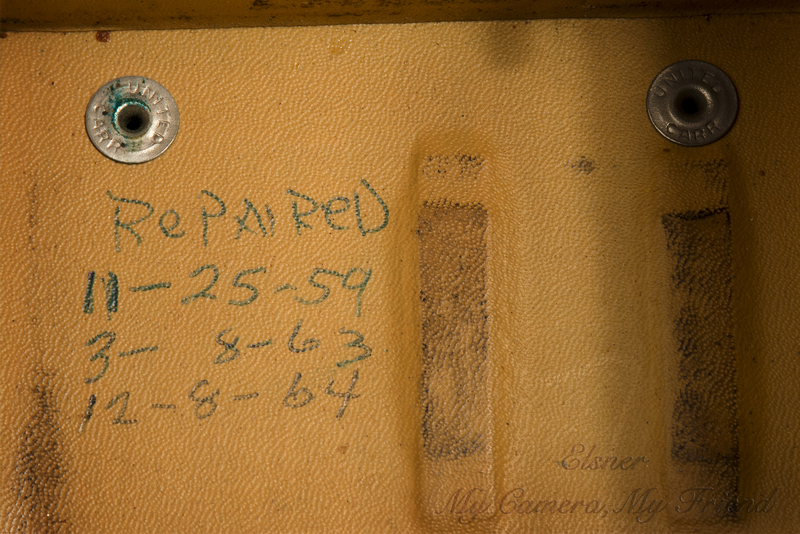 I’d estimate the last repair was about a decade before my father acquired the camera. It’s hard to believe the 4th of July is gone already. I shot the fireworks lat night, but I promised a camera post this week, and I didn’t have much time to edit today. I haven’t been doing as much photography as I’d like lately. One of the big reasons for that is because I’m working on a video. I now have a Nikon D7100, which allows me to rack focus and shoot in dimmer light than the little video camera I had previously did. It’s been four years since college, and I feel the need to brush off my skills and use them rather than continuing to let them get rusty. Since I work full-time, finding the time to do this is a little challenging, but I’m slowly shooting this short video on my love of cameras. I’m in a good place in my life right now to do this. Yes, it’s a learning experience, and no, it won’t be perfect, but part of learning is doing it over again if I need to – taking it slowly and letting it grow and develop as it needs to. The challenge is just making sure I keep moving along without a deadline to motivate me. Below are some stills from what I’ve shot so far. My parents brought this old 8mm home movie camera to me after visiting relatives. I assume it spent years tucked away in my grandmother’s house, like many common old objects in my father’s family. 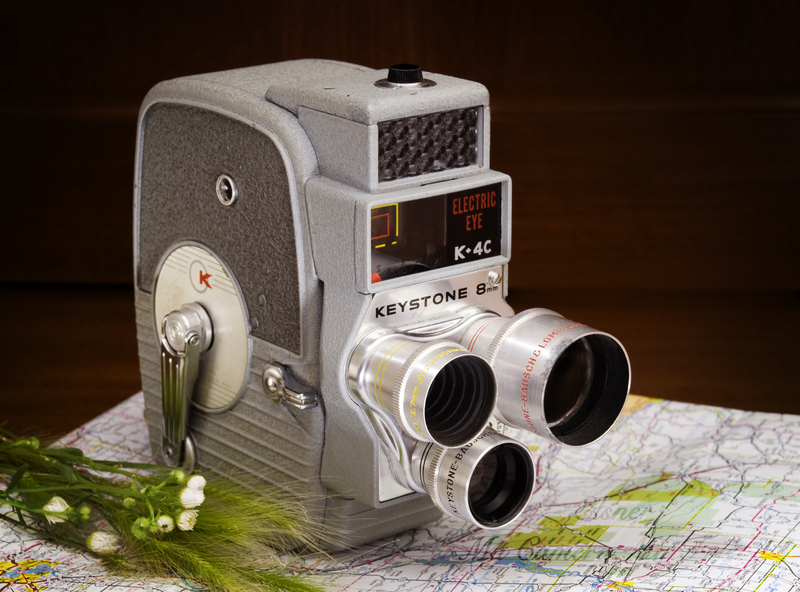 The 8mm used to be the way to capture fleeting moments of family history like vacations, trips to the beach, or Christmas morning. A bit before my time, to say the least. 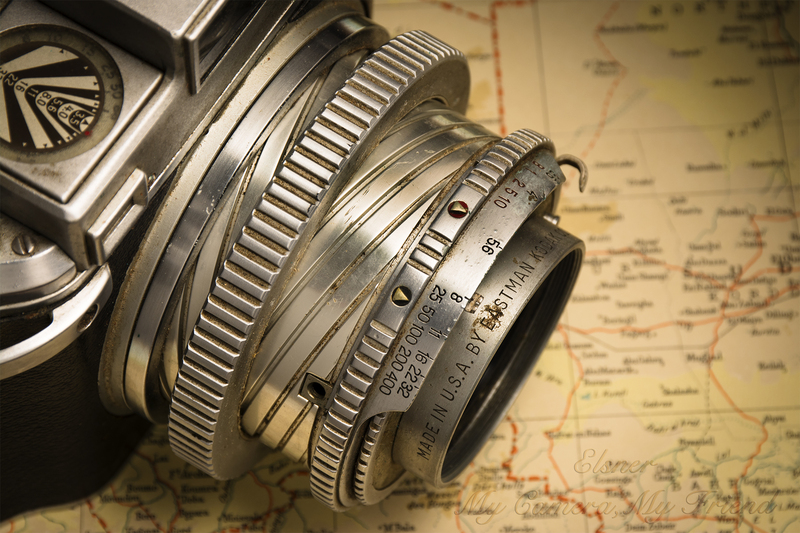 This worn yet charming example features an electric eye (a sort of exposure meter) and a rotating turret with three different lens. Here, you can see the camera’s power source: the hand crank. Wind it up, then press the lever. Kind of like a windup toy. *Edit: I recently found out this camera came from a church rummage sale, so I can stop wondering if there are any old home movies out there. Between the holidays, my father and I went to visit my grandma and help my uncle with some repairs on her home. My uncle frequents auctions, and sometimes, he buys a box of things for one item on top. Occasionally, he gets an old camera hidden in the box. 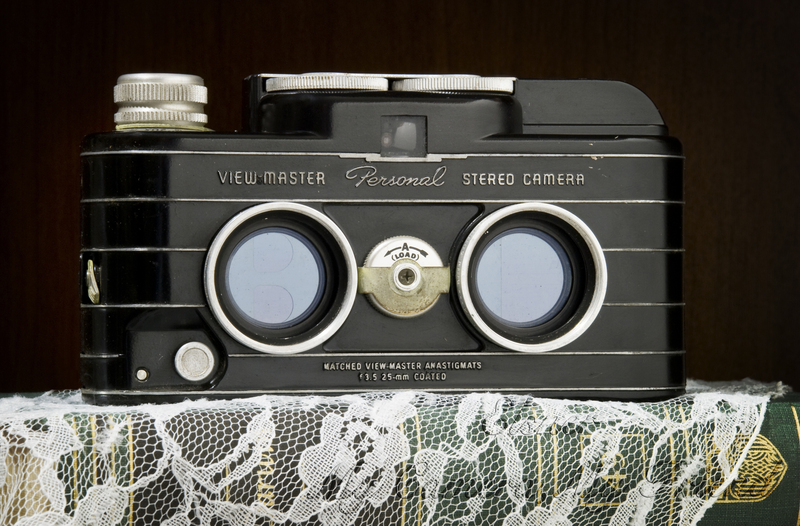 One evening, he presented two of such cameras to my father as candidates for induction into The Camera Collection. 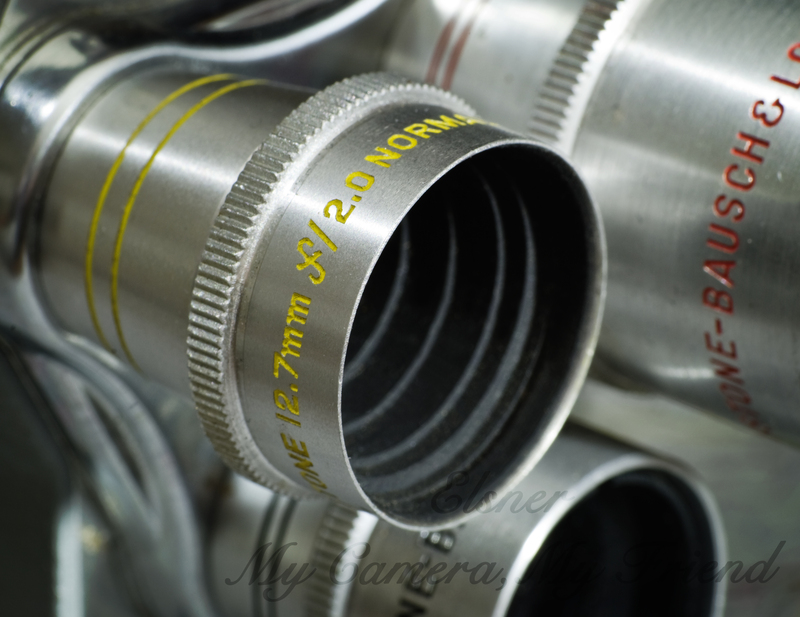 (For those of you who frequent my blog, most of the cameras I photograph belong to my father. He has an old habit of not getting rid of cameras and picking up interesting specimens.) One look at the case told us this camera was in. Meet Freddie. 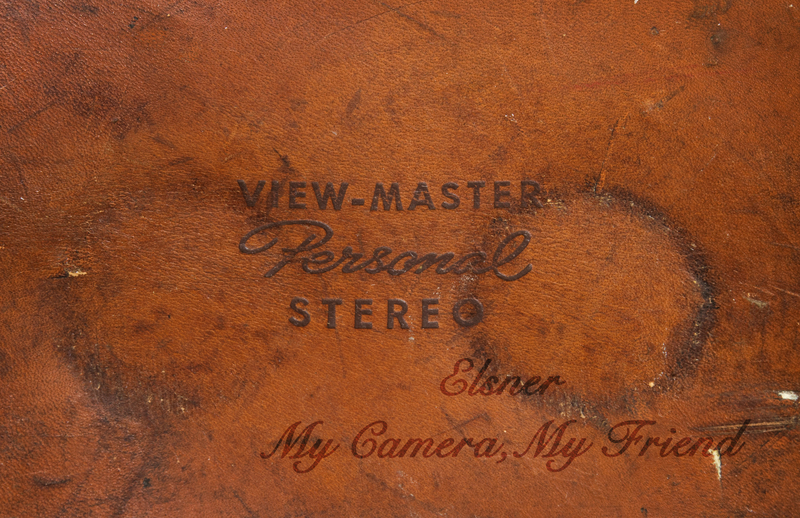 He’s an early 1950’s Stereo Camera used to photograph slides for the View-Master. (You know, the little red-orange devices you had as a kid?) Isn’t he handsome? This is the exposure guide. Look familiar, my fellow former cinema and photo students? Yep, a fancy Sunny 16 guide. Last week, my father kindly agreed to let me photograph his Hasselblad 500 C. Hasselblads have an illustrious history. They’ve always been phenomenal cameras, and the line has kept its reputation into the digital age. The 500 C was manufactured as early as 1959. My father purchased this particular camera previously enjoyed sometime in the 70s or 80s. They’re medium format cameras that have interchangeable backs for the film. 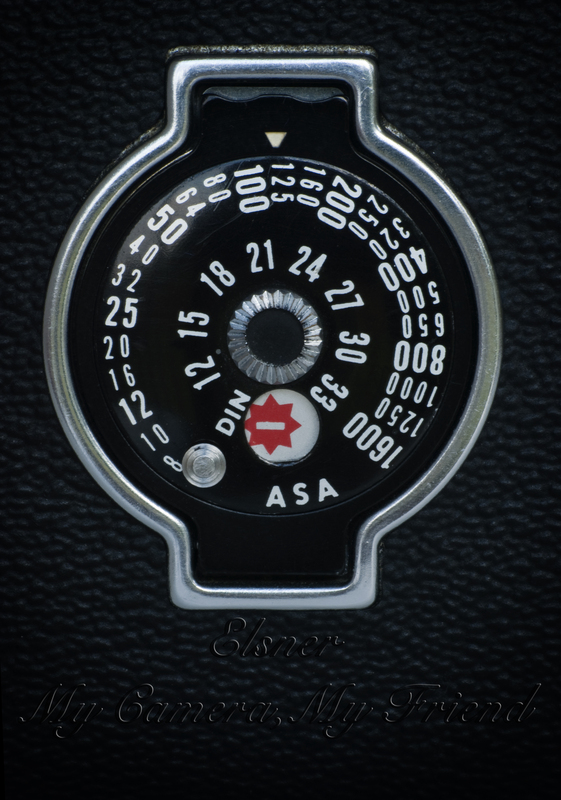 Photographers indicate the film speed in a back using this dial. 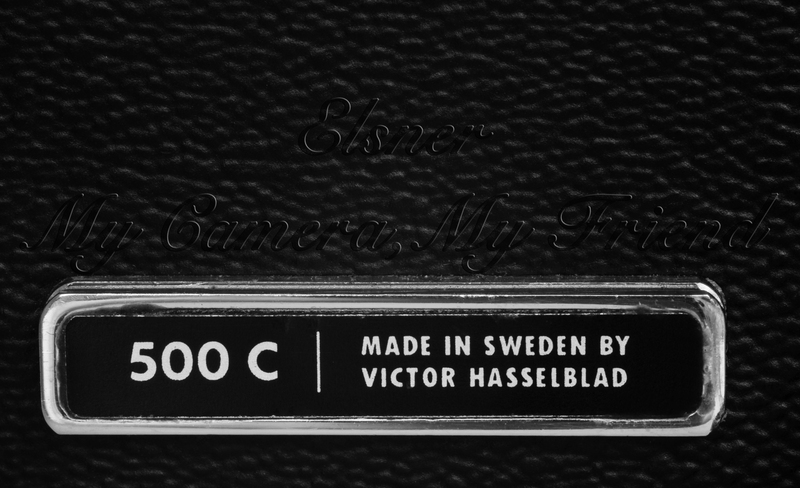 Historically, Hasselblads were made in Sweden, and some of them have gone very far from home. NASA had Hasselblad create special cameras to take to the moon. (http://www.clubhasselblad.com/new-book-hasselblad-and-moon). It’s a shame they had to leave the cameras. As far as I know, my father’s spent most of its life quietly in the midwestern United States. Dad’s Hasselblad doesn’t get used much anymore, but it’s still a valued member of the camera collection and a fine piece of equipment. Who knows, bringing it out may encourage him to use it again.